"Work is a major source of personal identity and we are known by the profession that we pursue." Throughout our student life we are working towards "becoming" something in the future. It is our job or work that gives us our identity. further planning a career is like assembling the pieces of a jigsaw puzzle. The key to effective Career Planning is to fit the pieces correctly. Learning Styles and so forth. 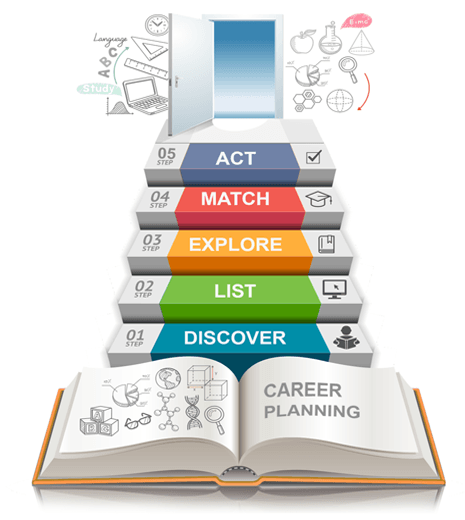 Good career planning is a match between all these. Make a note of all the different careers you may want to do and later shortlist them. Exploring the options that you have short listed is the next step. Match your interests, aptitudes, intelligence and personality with your choices. Imagine what it would it be like if you selected each option? Set short term and long term goals to help you reach your final goal.